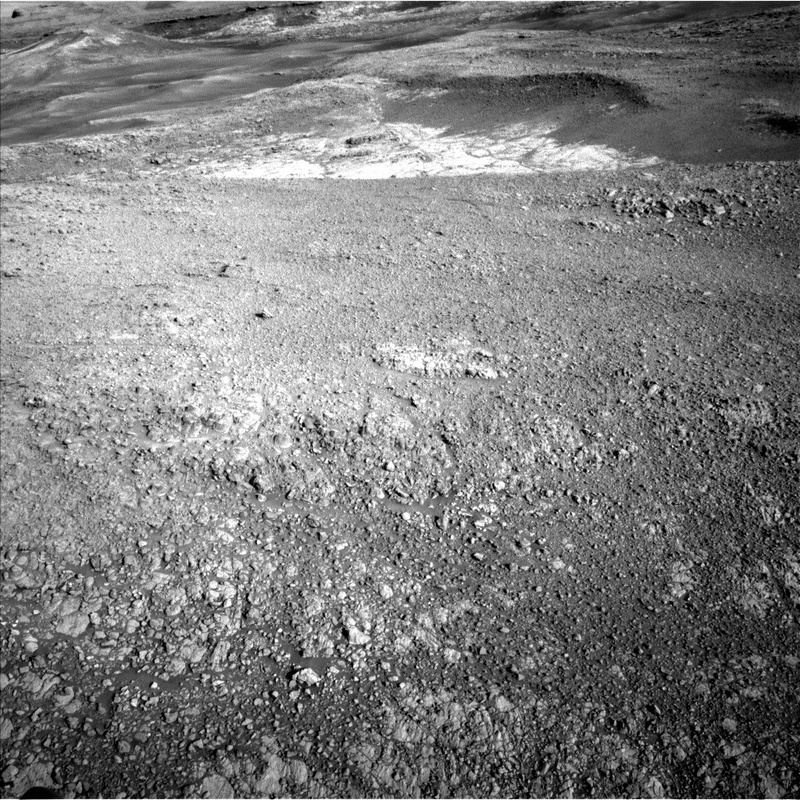 For the last several weeks, Curiosity has been hopping between areas of blue-ish toned rocks on the Vera Rubin Ridge and the results from these locations continue to become more compelling. Our next blue-toned destination has informally been called "Stop E" (the light-colored bedrock material in the depression near the top of the image) and today we had made a unanimous decision to get there as quickly as possible on the second sol of our plan, Sol 1930. That's not to say we will be ignoring the current location en route! We planned contact science for Sol 1929 with APXS and MAHLI on a bedrock target termed "Banff" as well as an associated ChemCam LIBS raster and Mastcam images. We also targeted ChemCam and Mastcam on targets "Bass Rock" and "Barraclough". In addition to the drive on Sol 1930, ENV also planned three Mastcam tau observations during the day to help study how the amount of dust and clouds in the sky vary throughout the day.